Days are getting longer and school is almost out, and before we know it summer will have arrived! 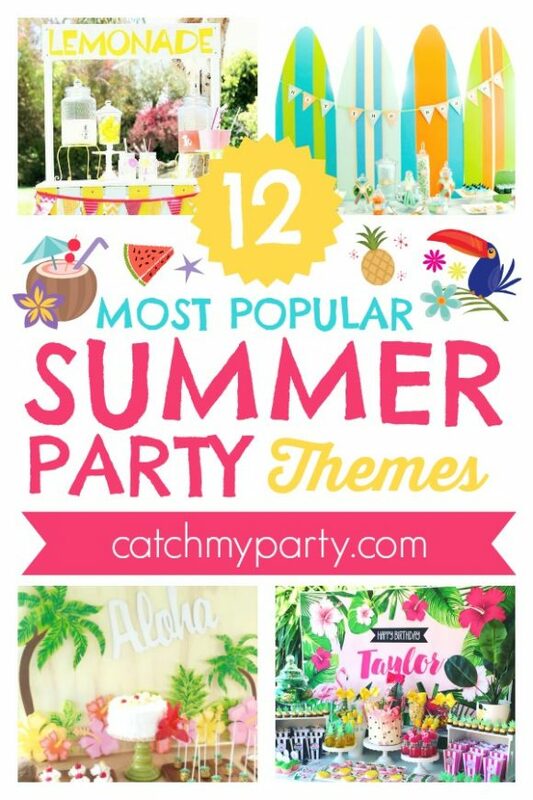 Summer parties are such a big hit on Catch My Party, and so many themes work well at this time of year. If you need a popular summer party theme look no further. The summer is such a great time to throw a party! With the sun out, there's nothing better then being outdoors, especially with friends and family! So make sure you check out these 12 most popular summer party themes to help you come up with the perfect theme for your upcoming party! You won't be lost for ideas with all the great themes we've rounded up for you! We've got ice cream socials, summer BBQs, July 4th parties, beach parties, and even watermelon parties, to mention just a few. Take a look for yourself! Summer ice cream parties are a great excuse, not only to eat lots of ice cream, but to make use of lots of colors. Even a simple summer BBQ can be turned into a fun party with friends with just a little creativity. It can be so much more than just delicious food on the grill, tasty summer salads and nice cold drinks. 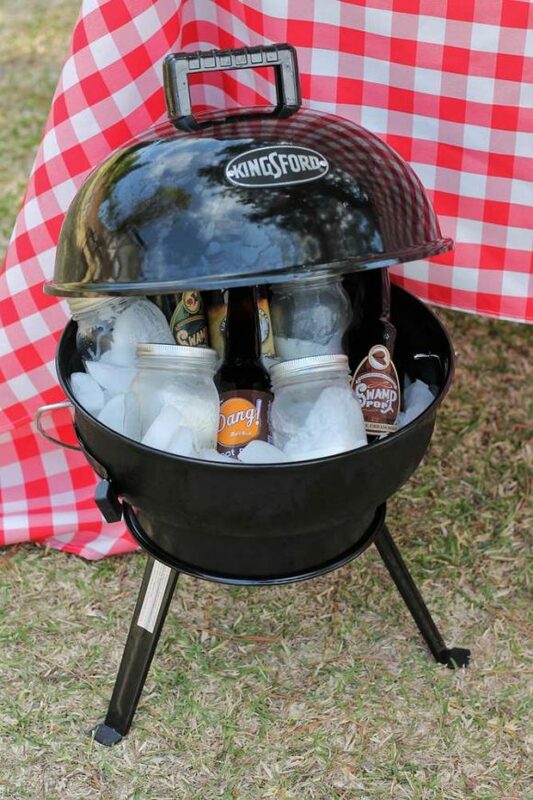 For instance placing cold beers and ice in an empty BBQ is a great way to serve drinks! What can be more summery party theme than a beach party?! Even if you can't actually have your party on the beach, don't let this stop you. 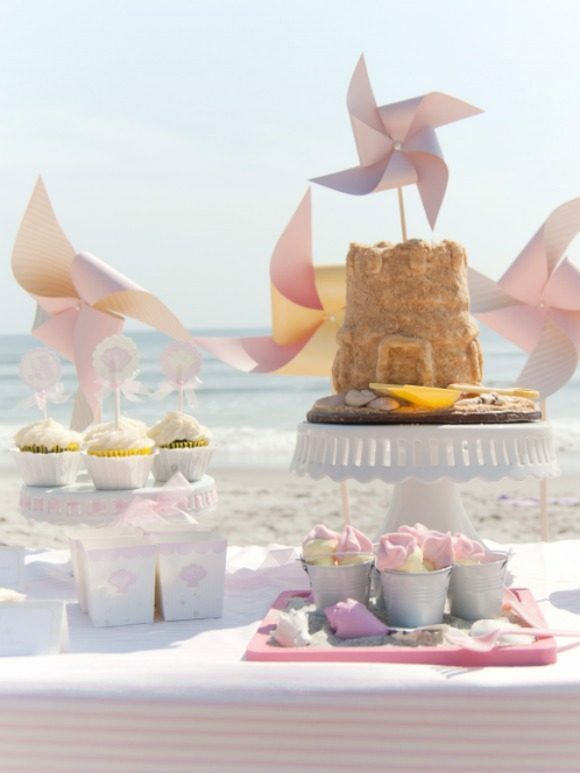 We've got plenty ideas for you to take the beach to your venue, as you can see below with this gorgeous 'sand castle' birthday cake. A camping themed party can be just as much fun as sleeping out under the stars during the summer. 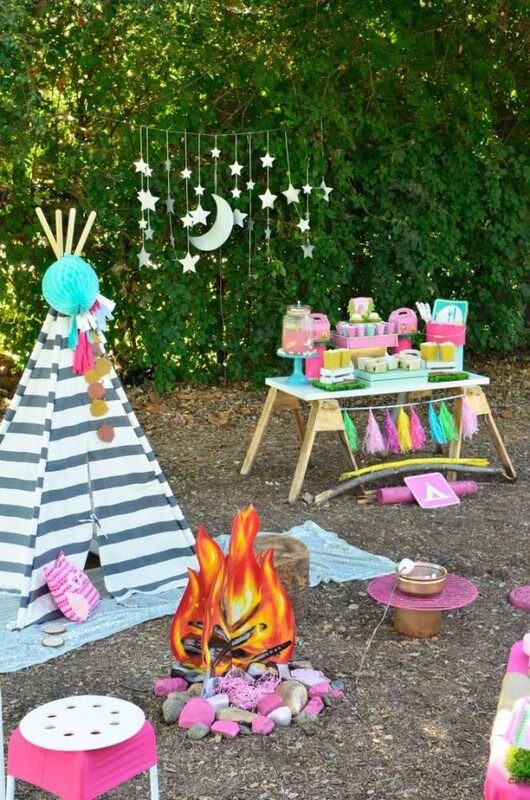 We've so many awesome parties for you to look through for fantastic camping and glamping ideas, such as the moon and star garland at this girls' camping party! Kids love nothing more than splashing around at a pool party during the summer. But even if you don't have one, don't let that stop you from having a pool themed party of your own. Check out the great ideas we have for pool party birthday cakes, cookies, and party decorations. 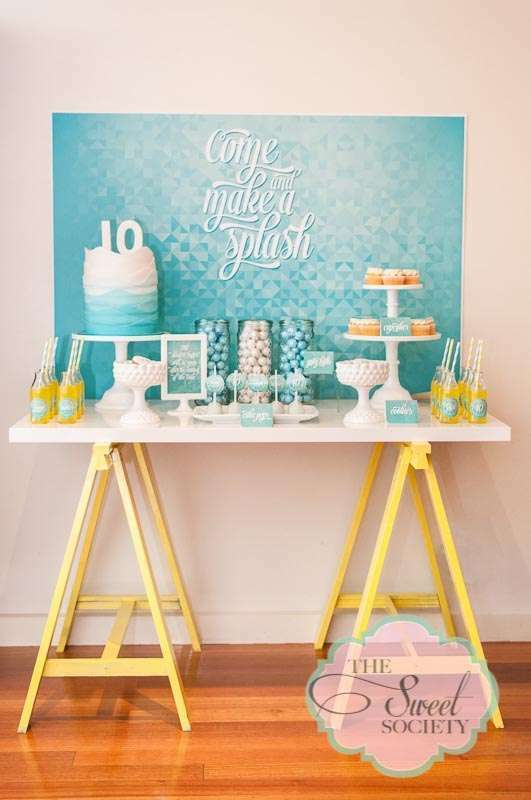 A lemonade stand is such a part of summer, and is such an excellent theme for a summer party. The bright yellow is so cheerful that it'll surely get everyone in the party mood. 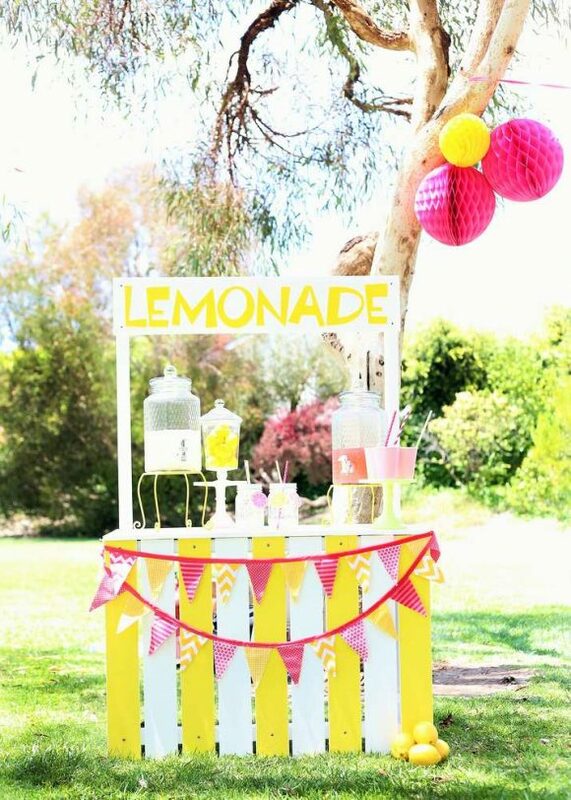 Don't miss our wonderful ideas such as serving your guests to pink and regular lemonade at your very own lemonade stand! 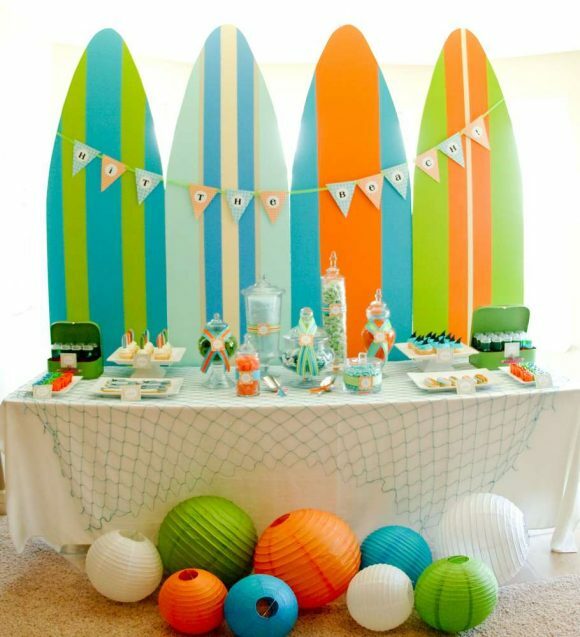 If your more of a sporty type and love to surf, then a surfing summer party theme is just what you need. Love the surfboard backdrop at this summer party. You can almost feel the sand under your feet! Flamingo parties have been a massive hit for a number of years now, and it doesn't look like they are going anywhere any time soon. 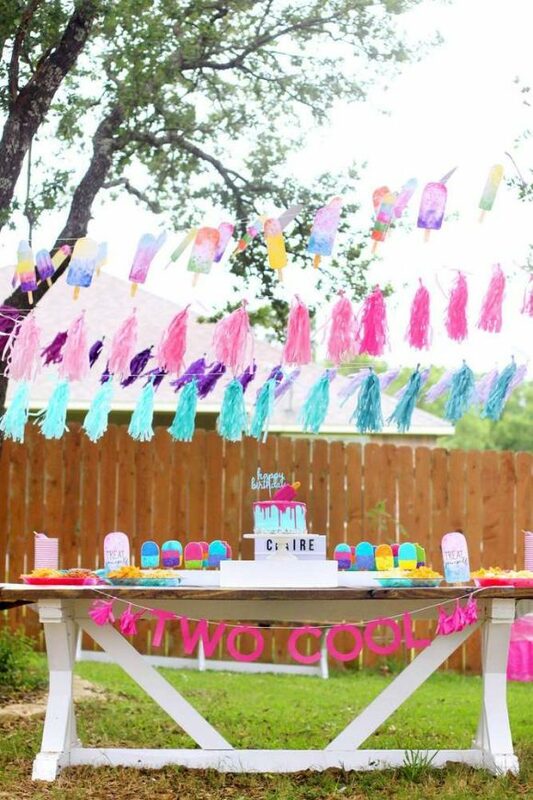 It's such a popular party theme with girls and there are so many incredible ideas out there. Flamingo birthday cakes are always the show stopper, so you can't really go wrong with this tropical theme. The most popular summer party has to be July 4th! It's an excellent excuse to spend the day eating great food with friends and family while enjoying the heat and sun. 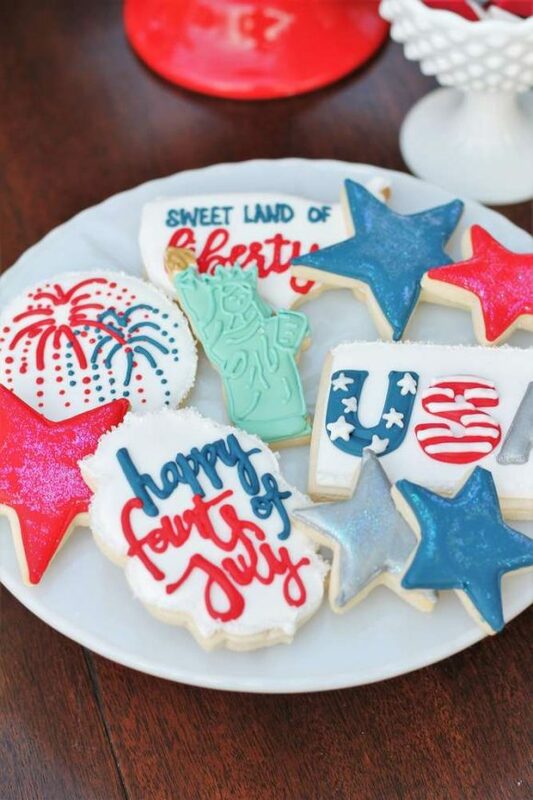 We've got a ton of amazing ideas for you, from fun patriotic cookies, like the ones you can see here, to patriotic party decorations. So don't worry, we've got you covered! You can't have a tropical summer party with out a pineapple, right? So why not make the pineapple the theme of your party? It's such a popular one here on Catch My Party and we've so many excellent ideas for you to choose from. 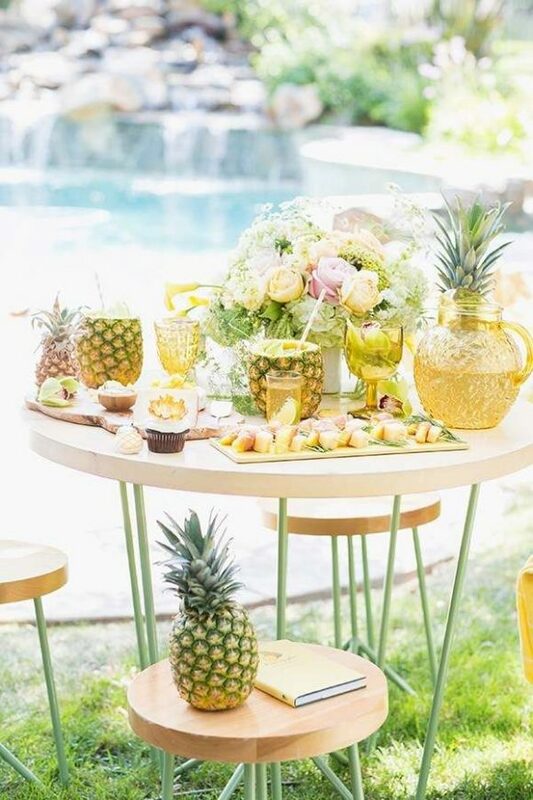 Even the simple idea of serving cocktails in pineapples is so much fun and your guests will love it! 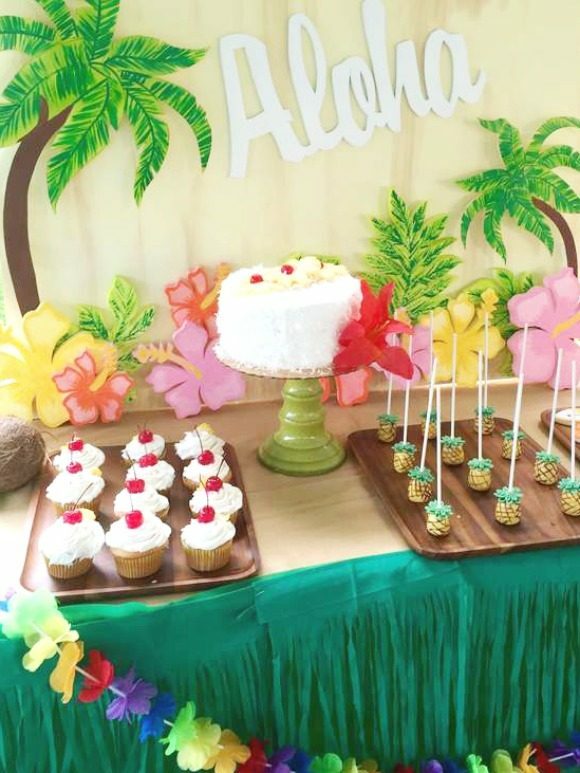 You can't get a better summer themed party than a Hawaiian luau! They are a wonderful excuse to decorate your party with colorful hibiscus flowers and to transport your guests to a place where the sun always shines and where you can't help but feel happiness. Take a look at our fabulous ideas for that ultimate tropical themed summer party! 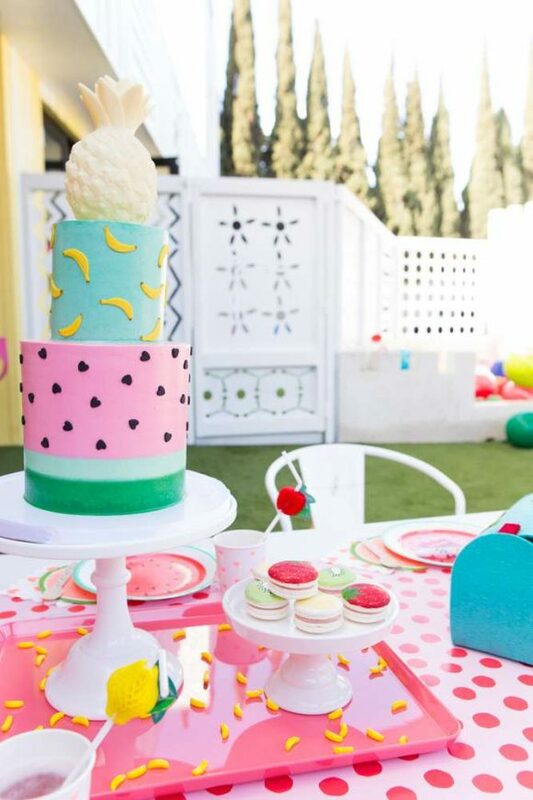 As I mentioned earlier on, summer parties are a wonderful excuse to use lots of bright and vibrant colors, and another theme that allows you to do so are tutti frutti themed parties! Everyone from kids to adults loves fruit, so why not make it your main theme? Just look at the amazing tiered tutti frutti cake and cookies below. Simply mouthwatering! 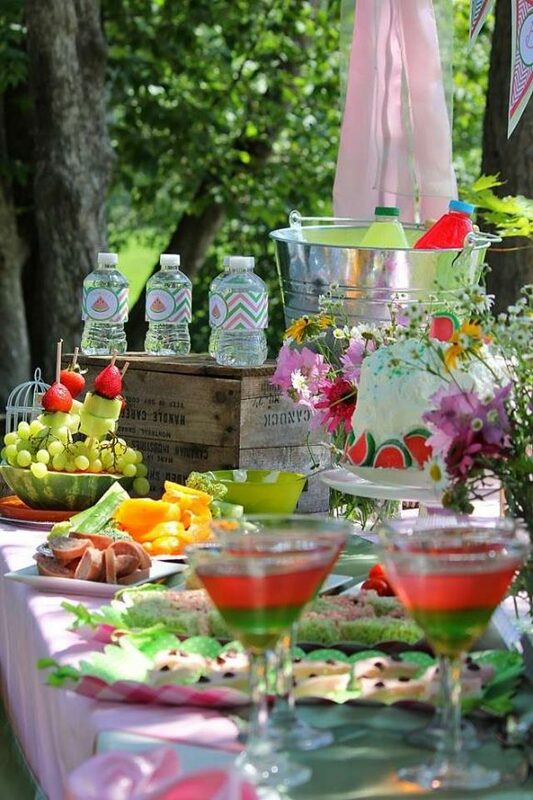 Another favorite summer fruit and popular party theme are watermelons. There are so many excellent watermelon party ideas on Catch My Party. You'll find inspiration for everything from party decorations to watermelon party food. Take a look for yourself! Need more summer party ideas? Need free summer party printable decorations? Need summer party food ideas? 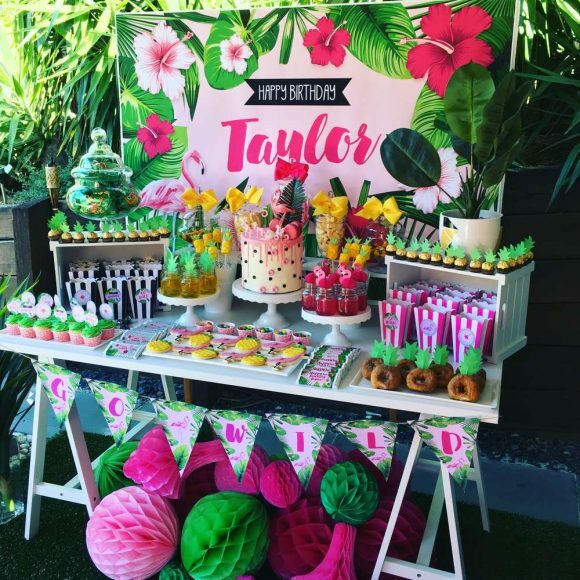 And for even more inspiration, check out all these fantastic summer party photos added to our site, and these additional summer party supplies from vendors with listings on Catch My Party! Hey, JILLIAN LESLIE Great post and good ideas for a summer party.